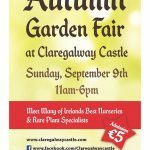 Following on from this year’s hugely successful Galway Garden Festival, Claregalway Castle will host its 2nd annual Autumn Garden Fair next Sunday, September 10 from 11am – 6pm. This fair will feature some of Ireland’s best nurseries and rare plant specialists – most of whom are members of Irish Specialist Nursery Association (ISNA). Guest speakers include Future Forests from West Cork with emphasis on practical demonstrations and a great opportunity for a comprehensive question and answer session. Award winning botanic artist, Jane Stark will give a presentation on Irish Heritage Plants and Botanic Art. There will also be a variety of informal practical talks and demonstrations. Well known Galway gardening columnist Pat Dunne will also present a variety of subjects close to his heart. Autumn is best time to plant and prepare for next spring while the ground is still warm and no worries regarding watering. You can have a clear vision for what you wish to emerge next Spring while your current garden is fresh in your memory. A hosting of many of Ireland’s best nurseries and rare and special plant experts will be available to answer any questions you may have. The Coffee shop will be open for light refreshments. Admission €5. 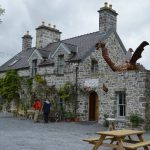 September is a busy month at Claregalway Castle on Culture Night Friday September 22 they have an extraordinary evening of dance and music with fairies, pixies and goblins with the dancers of Youth Ballet West, from 6pm-8pm and admission is free. 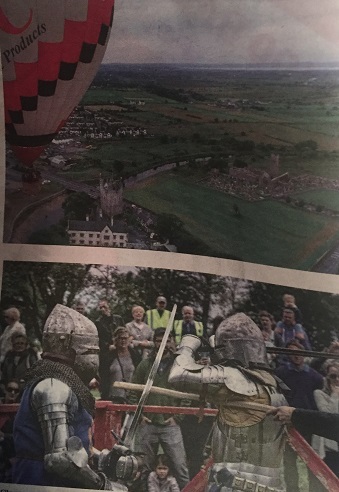 Towards the end of the month, and of course weather dependent, Claregalway Castle plans on having a Mass Balloon Launch and magical night glow event between Tuesday September 26 and Friday September 29. 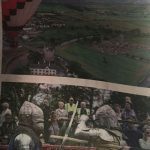 Participants from the International Balloon Festival which is held in Loughrea with converge on Claregalway Castle for a magical event. The Night Glow is a wonderful feast of Music and Light as a great number of hot air balloons are inflated, tethered, illuminated from within and synchronised to music. Don’t forget to save the date Saturday September 30 and Sunday October 1 for The Claregalway Castle Shield. This is a full contact Medieval Combat Tournament with combatants from across the world. Real fights. Real hits. Real excitement. 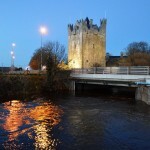 For more information on any of the above events see our Facebook page or call the castle on 091-799666. 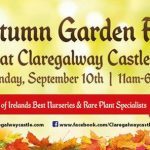 Autumn Garden Festival at Claregalway Castle.